Why play at Coral Poker? Coral Poker is an ideal starting ground for tournament players, with €25 in free tournament tokens up for grabs on top of your deposit bonus plus many guaranteed prize pool tournaments running throughout the week. Coral Poker is part of Coral Interactive, one of the United Kingdom's leading ecommerce operations with over 10 years of online experience. 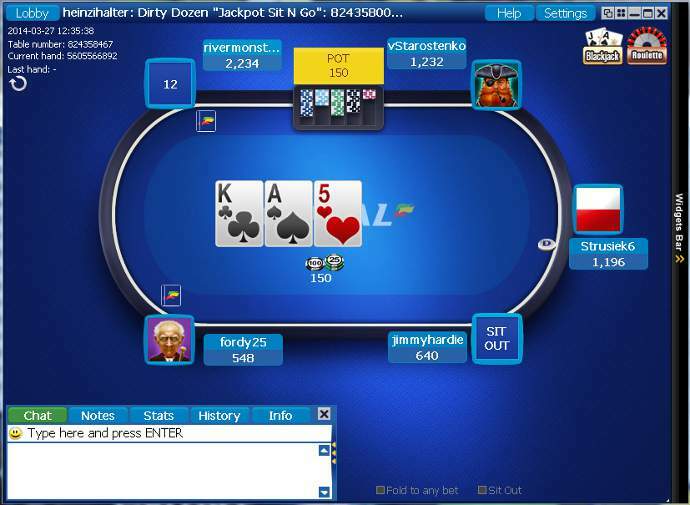 Coral Poker is part of the iPoker network, ensuring good traffic for both cash games and tournaments. As part of the big iPoker network, players at Coral Poker will find plenty of action throughout the day. Coral Poker offers many big guaranteed prize pool tournaments, including online tournament series' like the iPoker Online Poker Series (iPOPS), which offers over a million Euros in guaranteed prizes. On top of the highest available poker bonus on Coral Poker, there are more advantages for you as a player from PokerStrategy.com. You receive 4 StrategyPoints for every $1 you rake at Coral Poker and €25 in free tournament tickets on top of your first deposit. Coral Poker is part of Coral Interactive, one of the leading ecommerce operations from the UK, backed by a strong offline presence with over 1,700 shops throughout the UK. Coral Poker is licensed by the Government of Gibraltar & regulated by the Gibraltar Gambling Commissioner. Once you make your first deposit at Coral Poker, you will get an additional €25 in free tournament tokens on top of the regular Coral Poker first deposit bonus. Furthermore you will find many daily and monthly freeroll poker tournaments at Coral Poker and the popular monthly reload bonus - Payday Payback.